With the title of the 24th official James Bond movie revealed (“Spectre”), it was also time for the makers to crown their new Bond Girls. 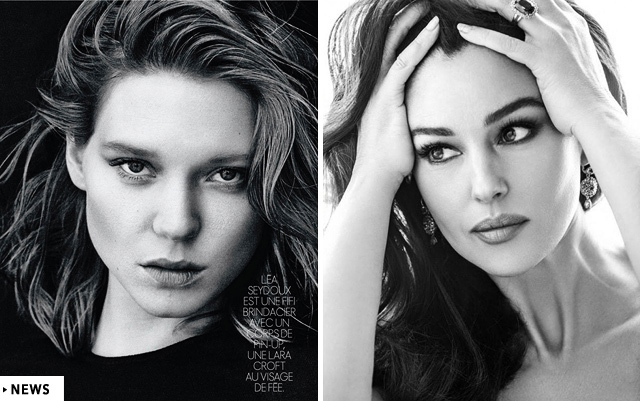 Italian actress Monica Bellucci and French beauty Lea Seydoux have been unveiled as the new leading ladies. Monica Bellucci, best know for her roles in the French thriller L’appartement and “Persephone” in the Matrix series will play a character named Lucia Sciarra. Lea Seydoux, seen in a number of notable American films such as Robin Hood, Midnight in Paris, and Mission: Impossible – Ghost Protocol. Lea will play a character named Madeleine Swann. Do you like James Bond movies? Tell me down in the comments!